When we see green we are reminded of nature. It is the color of our natural world. It is the color of growth and freshness. It is invigorating and calming at the same time. This relaxing color has always been pleasing to our senses. That is mainly the reason this color has been often used for interior decorating. Many designers love to work with this color in their creations. And you could only imagine tons of wonderfully designed bedroom uses this color palette. This color does not only give you a touch of nature but it could also offer a room with a modern, youthful flair. 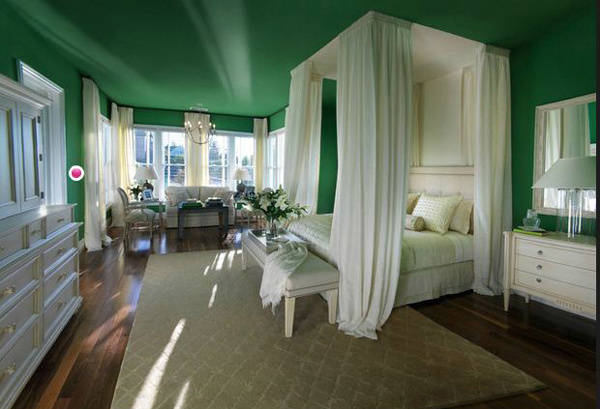 Explore the wonders of nature’s most versatile color with our 15 refreshing green bedroom designs. Cop a vintage touch from this lovely, green bold patterned wall paper as an all over covering. 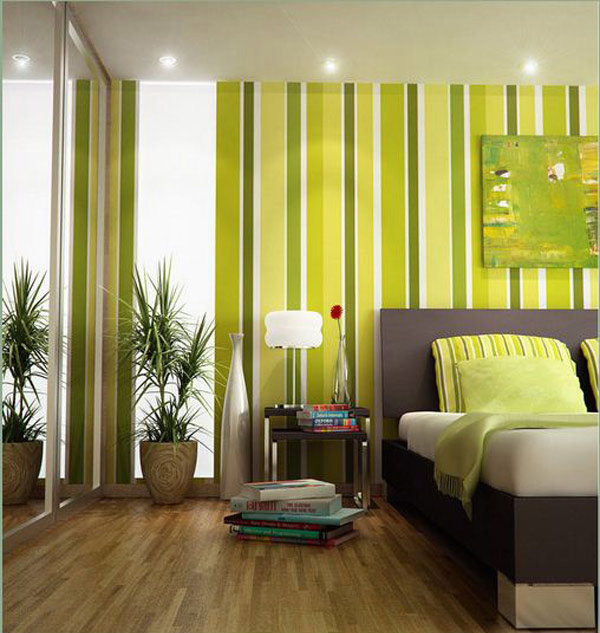 Create a modern look with green by using stripes of natural colors on your focal wall. 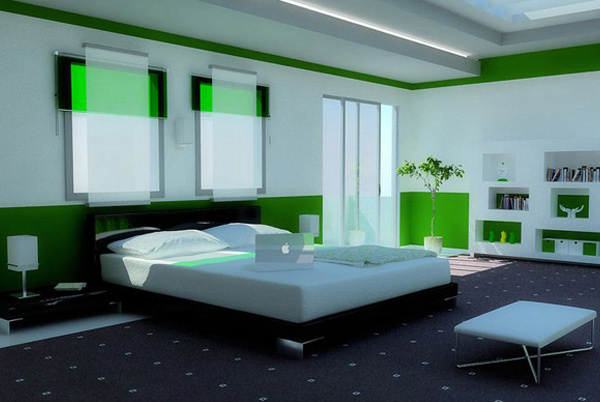 Go for an all-green bedroom! Use this design if your room is fortunate enough to get an ample amount of natural light and do not forget to match it with white linens to create a bright and lively room. Get an instant modern-masculine style in this monochromatic design. Awesome! 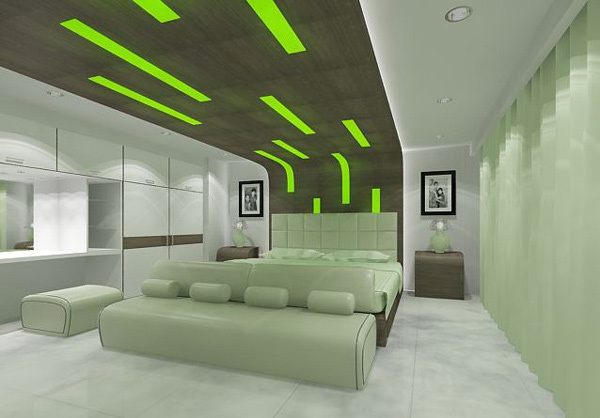 This futuristic design uses chunks of lime green as accent. Blend green with neutral colors and get this stunning result. 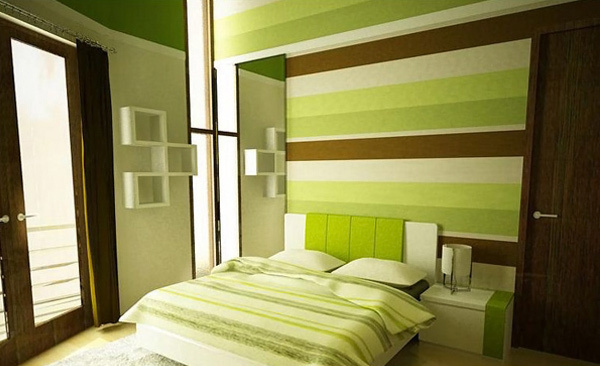 Let’s go retro with this green stripes feature wall. Add simple linen with matching stripes pillow case for a fresh, funky feel. This shade of green combines the calmness of sea and the freshness of nature. It offers nothing but sereneness. 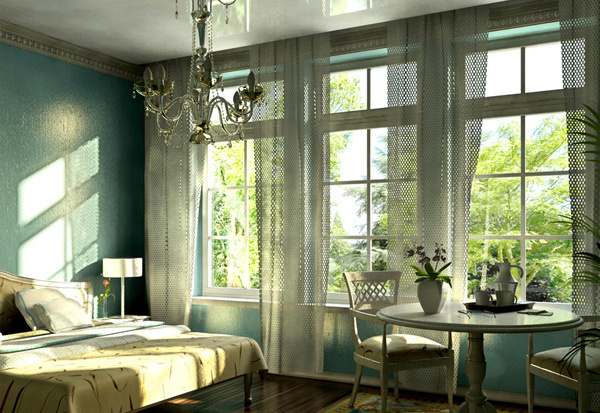 Put a bold turquoise against a green scheme with a splash of pastel colors will give you fun and exciting room! The crisp white draperies add drama against the luscious green walls of this room. Great for a romantic getaway! Be daring and sassy by adding charming and colorful wall murals to your feature wall. Choose green wardrobe as a focal spot and keep the rest simple and understated so you’ll get this smooth yet bold modern design. 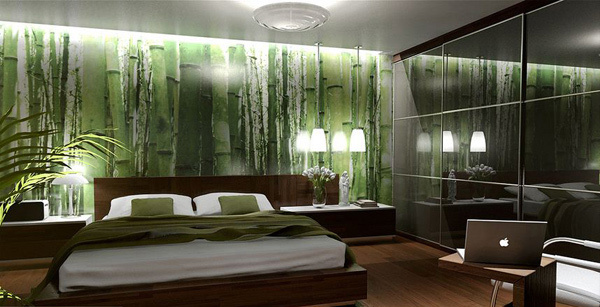 Bring nature’s calmness to your room by getting this bamboo feature wall in your bedroom. Relax your weary mind and body in this deep green covered room that is balanced with perfect lighting and hints of neutral colors. 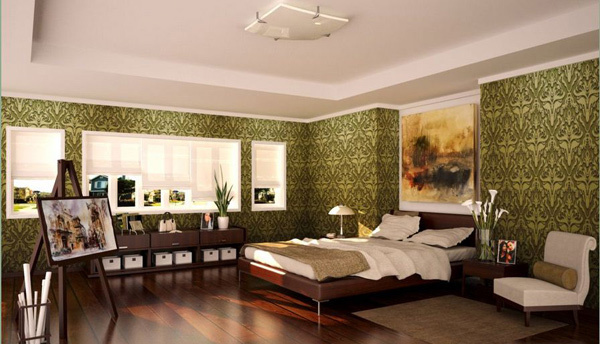 Capture the welcoming effect and tranquillity on this design by using pistachio green on your bedroom walls. 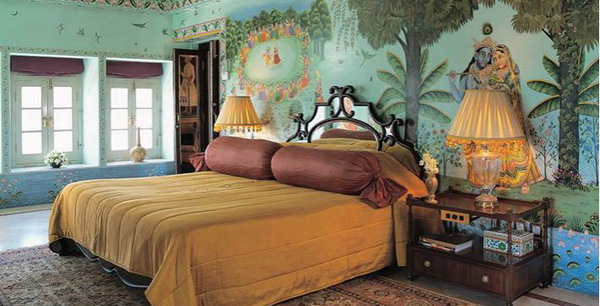 These bedroom designs are simply oasis of calm. 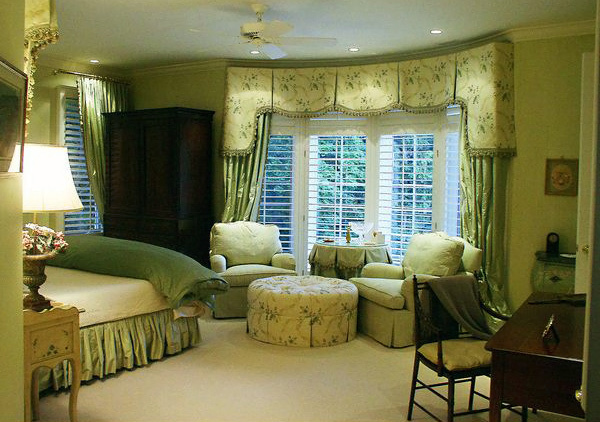 Green when used in a bedroom design instantly creates an inviting and peaceful ambiance. Even in its littlest amount it can turn your lifeless room to a youthful and rejuvenating lair. Paint your whole room green, combined green with other neutral colors if you are uncertain of the outcome, use pastel with green, use green as a highlight, use it as a feature wall or a focal spot and the result will always be stunning. 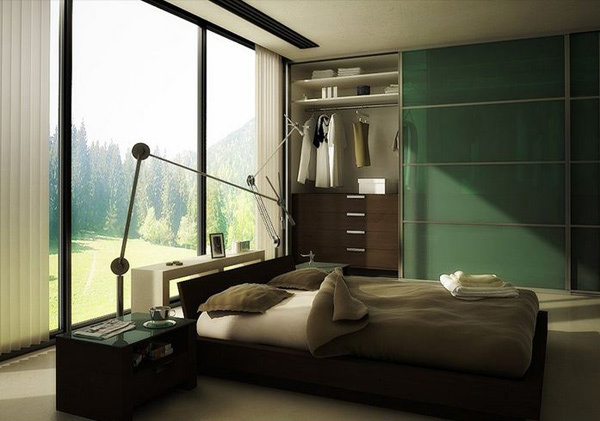 You could never go wrong with green in your bedroom. 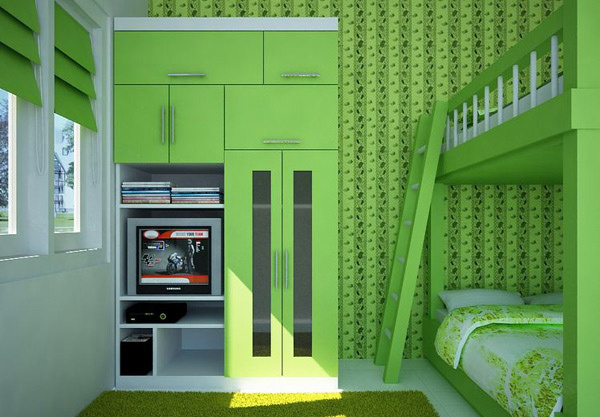 You can also have a green kitchen and a green bathroom if it is really your fave color.